The plan was two weeks. But two became three and weeks stretched to months as I toiled to tailor my application to the requirements of the NSF Graduate Research Opportunities Worldwide (GROW) fellowship. Then in April of this year, several months after submitting the final version, I received the congratulatory email informing me that I’d been awarded the fellowship and would be spending the summer working with a team of my collaborators in Cheongju, South Korea. 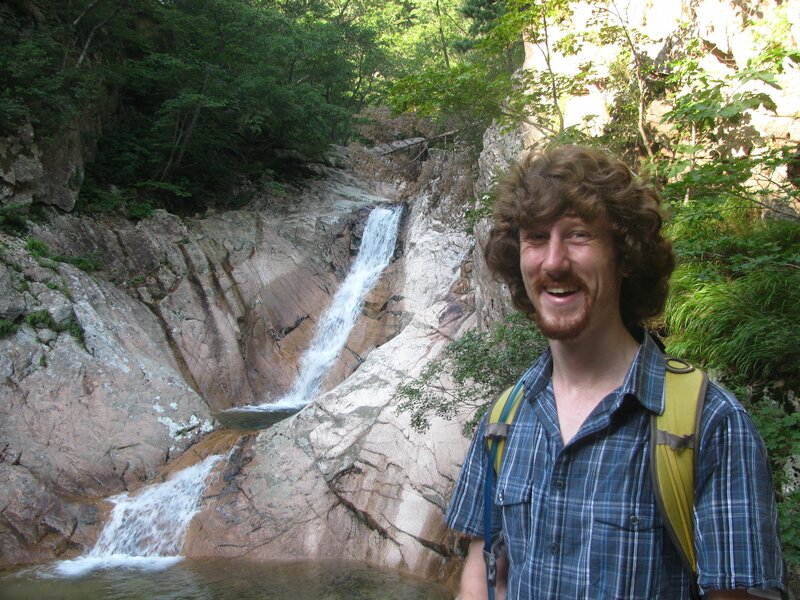 My name is Calen Henderson, I’m a senior-level PhD student who studies exoplanets, or planets that orbit other stars, and below I’m going to describe an extraordinary summer in the life of an astrophysicist. First, some background. Prior to 1989, humans knew about the existence of nine planets. They all resided in our Solar System, and Pluto had not yet been demoted. Then, in 1989, our knowledge of other worlds, and with it our own worldview, began to change. To date, astronomers have discovered over one thousand exoplanets that collectively provide insight into how planets form, how common it is for a star to have one or more planets orbiting it (extremely common, it turns out, with our Milky Way Galaxy alone estimated to harbor over 100 billion planets, or one planet per star, on average), and specifically what kinds of planets and planetary architectures are out there. Such findings are the result of using a variety of exoplanet discovery techniques, including transit, radial velocity, and pulsar timing. I specialize in one known as gravitational microlensing, and this method forms the backbone of my PhD research. 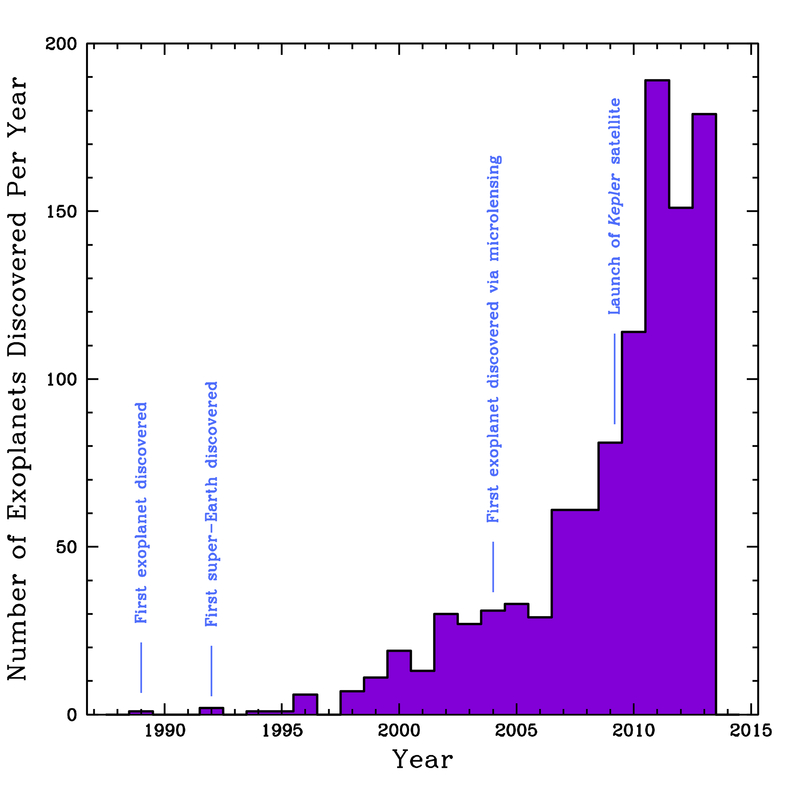 The number of known exoplanets has increased dramatically, especially over the past few years due to the launch of the Kepler satellite. These are indeed exciting times to be an astronomer and to study exoplanets! Normally when you look at a star, whether with your naked eyes or through a telescope, its brightness remains relatively constant as time marches forward. But, all objects in space are moving, with stars passing in front of and behind other stars, and every so often the alignment of the Earth and two distant stars will be so nearly collinear (all three in a straight line) that the gravity of the middle star will bend some of the light rays emitted from the background star so that they reach Earth rather than continuing to traverse through empty space. We see the manifestation of this alignment as a brightening of the background star, and if the intervening star has a planet in orbit around it, it is possible to see additional amplification of the light of the background star due to the gravity of the planet. The brightness as a function of time for the first microlensing event in which a planet was discovered. The circle in the upper panel shows the star being microlensed, though you can’t see the intervening star whose gravity is actually bending the light. When the circle turns red it denotes the anomaly caused by the additional gravity of planet orbiting the intervening star. This animation was created by Dr. Andrzej Udalski of the OGLE collaboration and was borrowed from Dr. David Bennett’s webpage. Such an occurrence is rare and unpredictable, and so requires monitoring tens of millions of stars to detect a few thousand microlensing events per year. A single microlensing event refers to a star that has been magnified by the gravity of an intervening star that may or may not host one or more planets. Ultimately this process leads to the discovery of just a handful of planets each year. But wait! There’s less! Not only is detecting a possible planetary signature in a microlensing event an unlikely situation, but sifting through the mountains of data taken by the dozens of telescopes around the world to accurately and precisely determine the physical parameters of the planetary system—how massive the planet is, how far away it is from its host star, et cetera—can often take years. Furthermore, only a small number of people have both the knowledge and the access to the vast amounts of computing power necessary to do so. Astronomers overcome the extreme rarity of detecting a microlensing event by pointing their telescopes where the density of stars is the highest—toward the central Bulge of our Milky Way Galaxy, marked by the red line. So far we’ve learned that microlensing is infrequent, difficult, and not very popular. These factors, coupled with the fact that microlensing has not yet discovered as many planets as certain other techniques, often leads to other astronomers viewing microlensing as the “Whose Line Is It Anyway” of exoplanets—the science is made up and the planets don’t really matter. In fact, such an assessment couldn’t be further from the truth. Microlensing is unique in that is has unparalleled sensitivity to low-mass planets orbiting their host stars at large distances. Whereas other discovery techniques can easily find a Jupiter-mass planet orbiting a star at the distance at which Mercury orbits the Sun, only microlensing can easily find planets with the mass of Earth at the distance of Earth. This is integral for our understanding of how common architectures like our own Solar System are as well as how planets are formed. Re-enter our hero. 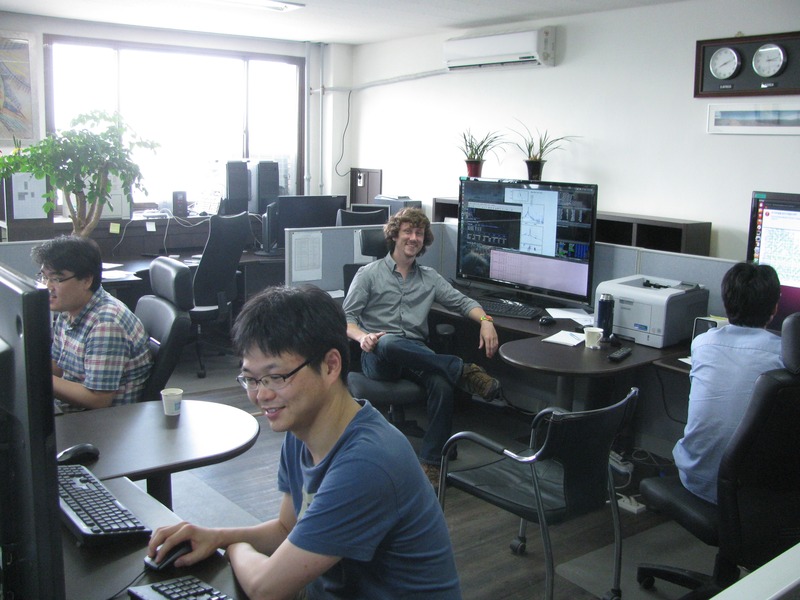 One of the premier teams of astronomers in the world with the expertise and ability to analyze microlensing events and look for planets is based at Chungbuk National University in Cheongju, South Korea. They are led by Dr. Cheongho Han, who obtained his PhD in astronomy from OSU and with whom I have closely collaborated for the past two years. Through the NSF GROW fellowship, I was able to spend the summer working with Dr. Han and his group to learn how to analyze microlensing events. 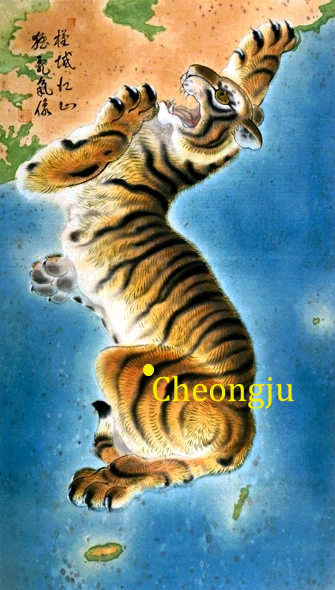 Many consider the entire Korean peninsula to resemble a rabbit. Others, a tiger. I fall in the latter group, and so spent my summer nestled, ferociously, in Korea’s hindquarters. The primary office in which Dr. Han, his graduate students, and I worked is probably the closest thing to Hollywood’s portrayal of science that I’ve ever witnessed. In this “War Room” there are computers lining two of the walls, with a third hosting a bank of clocks to help keep track of the current time for telescopes at a variety of longitudes. The center of the room is dominated by four huge monitors—the kind measured in feet, not inches—each connected to a different computing cluster, all of which are housed in a separate building due to the loud whirring of the fans that cool them as they radiate extreme amounts of heat while performing billions and billions of calculations. What makes his group’s approach so unique and powerful is its comprehensiveness. Every day we would analyze all ongoing microlensing events in search of anomalies in the magnified brightness of the microlensed star due to the existence of a planet orbiting the intervening star. We would subsequently circulate our findings to the teams of astronomers in charge of the telescopes to encourage more or fewer observations, depending on our estimation of the likelihood of the existence of a planet. Any spare time was spent reanalyzing older microlensing events—perhaps there were additional or improved data, or maybe someone had insight into a different solution that would better describe the data. In order to competently perform these tasks, there were several skills I needed to learn. To efficaciously utilize the computing clusters, Dr. Han’s team helped me become proficient in what is called parallel computation. Rather than using a single computer to solve a problem you use several in concert, farming out different tasks to each machine to most efficiently complete the computational task. I also brushed up on my complex analysis background. It turns out that microlensing equations can be more readily solved if you use imaginary numbers, a formalism that is the foundation of the best analysis codes in the world. Most importantly, however, was being able to analyze a multitude of microlensing events and the experience gained from it. When a star becomes microlensed by another, intervening star, there is a myriad of ways that the resulting magnification the light of that background star experiences can change as a function of time. In many cases, knowing a lot of math and having a lot of computers at your disposal can only get you so far—being able to intuit a good guess at the solution right off the bat is your most valuable skill. I was able to do some exploring as well! 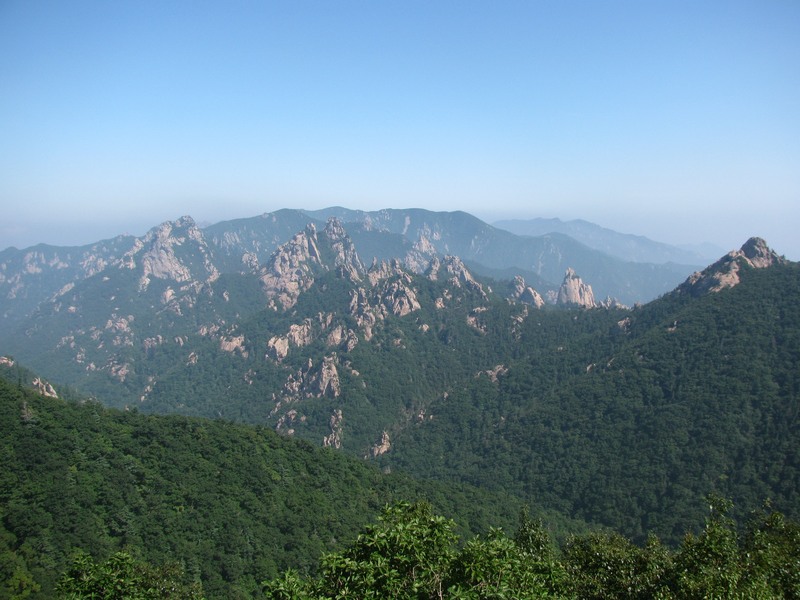 Here is a view near the peak of Daecheongbong, the tallest peak in Seoraksan National Park. 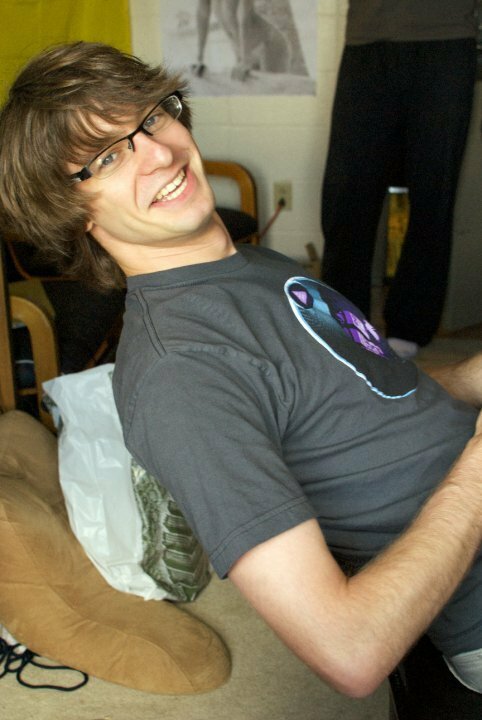 While Dr. Han and his graduate students imparted a wealth of astrophysics, computer science, and higher-level math to me, some of the most meaningful things I took away had nothing to do with microlensing. They were unremitting in their hospitality and eagerness to help me explore Korean cuisine and culture. Their patience was admirable, particularly since I was the visitor who was able to speak only a few phrases of Korean here and there. And their desire to teach was paralleled only by the vast trove of knowledge, both within and external to science, upon which they were able to draw. I find it appropriate and comforting that my search for other worlds comes hand in hand with learning more about my own. Hey! I enjoy playing classical piano music, running, and traveling. I spend my spare time working on a PhD in astronomy at The Ohio State University, trying to discover and characterize exoplanets and gain insight into planet formation. As an Eagle Scout, outreach is also a big component of my life, and I love giving shows at our newly-renovated digital planetarium! When I chose physics as a major in college, I wasn’t thinking about the paths it might open up for me. I chose it because the material was tough, it allowed me to exercise my fondness for mathematics, and I enjoyed learning about the universe at its most basic level. Eight years later I find myself working on a PhD in nuclear physics, and while all of those benefits are still there, more importantly it has changed the shape of my life and taken me places I wouldn’t have expected otherwise. 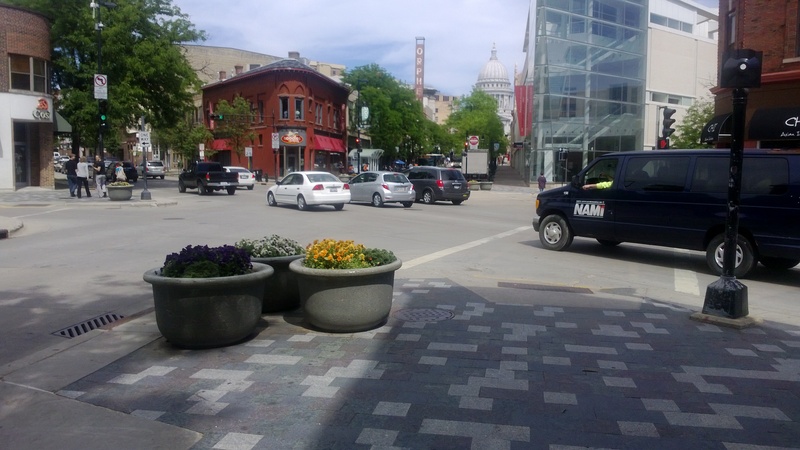 Because I can’t do anything the way I’m supposed to, I’ve chosen not to write about A Day in the Life of this graduate student, but to reflect on the past year and some of the great places I’ve gone and experiences I’ve had. There are many conferences in the field of nuclear physics, and Quark Matter is the largest. (A quark is a basic building block of nuclear matter. You and everyone you know is made up mostly of quarks.) Last year it was held in a city that’s close to my heart, Washington DC. I got to meet ‘celebrities’ in the field, well renowned nuclear physicists whom I had previously only known as names at the tops of papers I’d read. I also presented a poster I had designed that explained the motivations of my research and what progress I had made. This involved giving short explanations and answering questions as conference attendees floated around the room browsing mine and all the other posters. It was a great first experience in talking to strangers about my work. I’m definitely looking forward to next year’s Quark Matter in Germany. Hot Quarks is a very different conference from Quark Matter. It’s much smaller, aimed at giving young scientists in the field a chance to meet each other and communicate without established, well-known physicists looking over their shoulders. It was held in Puerto Rico, and at a time when my native Columbus was just beginning to move from a brisk Autumn to an earnest Winter, the island sun was a welcome change of pace. It was here that I gave my first prepared talk about my work. There were only about 50 people attending the conference, and the smaller audience and more familiar atmosphere meant I wasn’t very nervous. I got some good feedback and suggestions about what I had done, and met a few other scientists who had projects that were similar to mine. 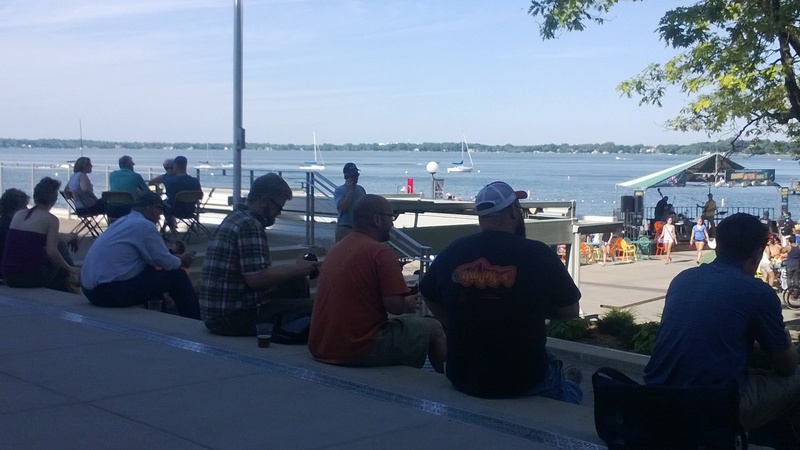 A week of listening to talks and participating in conference activities can get a little draining, so conference planners usually break up the time with a few fun activities. For instance, we were given a personal tour of the Arecibo Observatory, complete with behind-the-scenes access and some face time with the director. 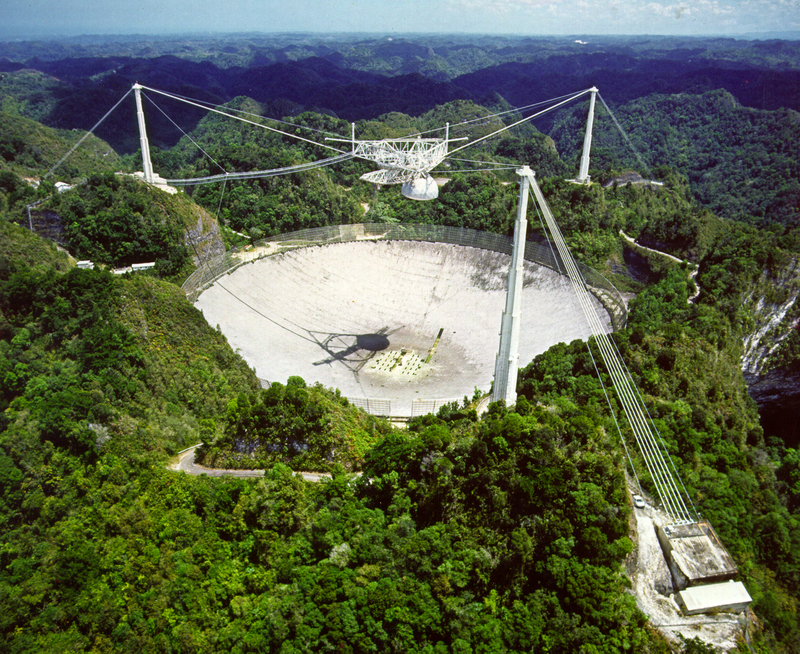 Arecibo is the world’s largest radio telescope, and has been doing amazing science for over fifty years now. You may have seen Aricebo featured in the James Bond movie GoldenEye or the film adaptation of Carl Sagan’s classic Contact. In April I traveled to the Relativistic Heavy Ion Collider (RHIC) on Long Island to help run our detector. RHIC accelerates bits of nuclear matter to speeds very close to the speed of light and then smashes them together. The hope is that in studying these high energy collisions we’ll see signatures of how quarks (remember those?) behave and interact. 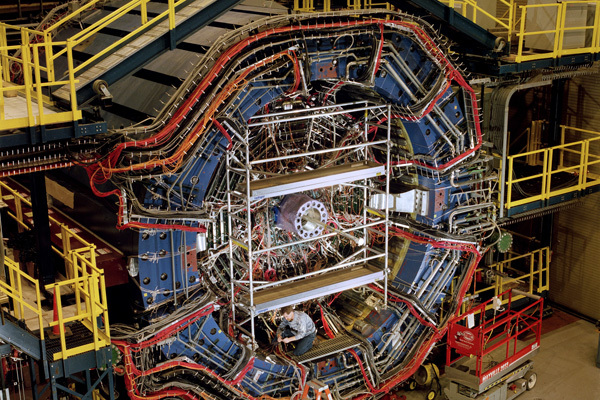 The three-story STAR detector, where we smash atomic nuclei together to recreate the conditions of the universe just microseconds after the Big Bang. You wouldn’t want to be standing on that scaffolding when they turn the beam on! There are two detectors operating at RHIC; I work on the STAR detector (Solenoidal Tracker at RHIC). Instead of being operated by dedicated technicians, scientists in the STAR collaboration (often graduate students and post-docs) take turns handling the day-to-day operations of the detector. You can check out Ken Patton’s post to understand what these shifts are like. He and I work on vastly different experiments, but the data-taking shifts are a pretty similar experience. I was training to be the Shift Leader, the person that coordinates the other crew members and communicates with the main RHIC control room. However, at the last minute the actual Shift Leader was called away in an emergency. As the trainee it was up to me to step in and lead the team, though at this point I had only had one day of training instead of the usual eight. Last month I traveled back to Long Island, but this time to Stony Brook University for the National Nuclear Physics Summer School. This summer school did not have any classroom component or tests at the end. It consisted of four lectures a day, each on a different topic. 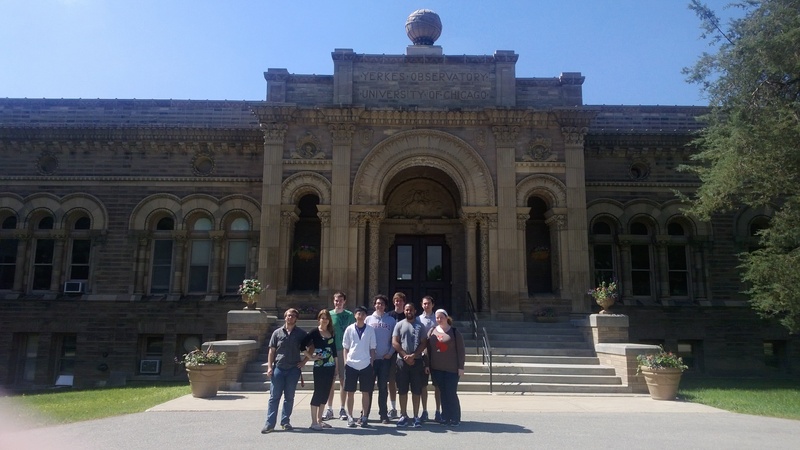 In between lectures we had ample time to talk about science, meet new people in the field, or just explore the campus. Physics is a breathtakingly rich subject, and the everyday study of the same has been incredibly rewarding. 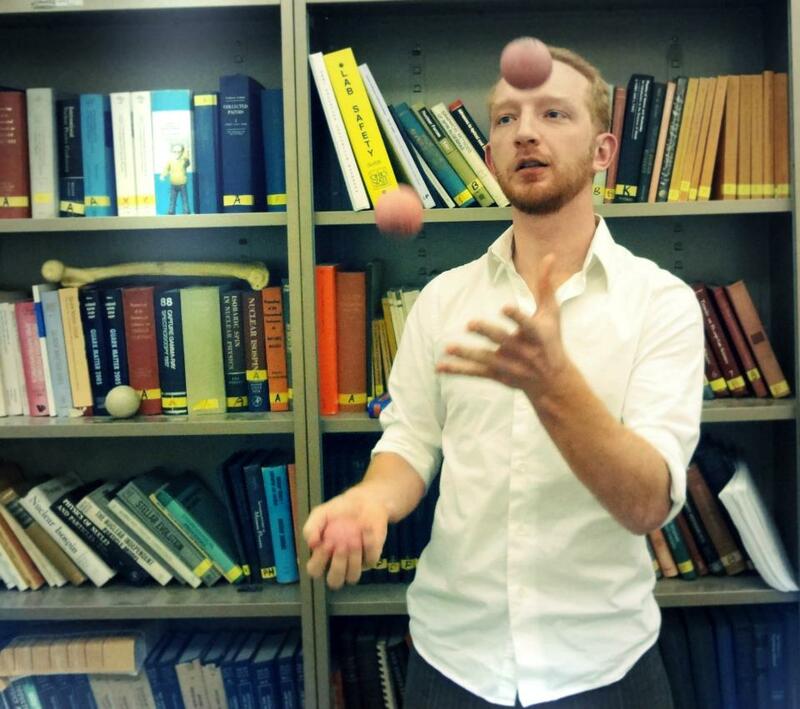 But it is important to remember that for a graduate student like myself, physics is not just a subject of study, but an aspect of my life that takes me to new places and gives me new experiences. More than having published a few papers or being able to solve problems in a textbook, physics has become a part of my culture and personal history. I don’t know what course my life will take after I leave grad school, but I look forward to a life of years as exciting and diverse as the last one. I’m originally a Floridian, and moved to Columbus four years ago to pursue a physics PhD at OSU. Before studying nuclear physics, I meandered through nano-photonics (studying ultrasmall light circuits) and theoretical astrophysics. When I’m not traveling, I write computer code to analyze the mountains of data we take, perform physics outreach, and help with the calibration efforts that keep our detector running smoothly. In my off time I play guitar, juggle, climb trees, and start conversations with strangers. “Do you like to travel?” I have not met many young people who would answer “no” to that question. A much more interesting question is, “Why do you travel?” Although responses may vary, I might predict that they commonly contain words like “new” and “different.” I imagine that’s because we like to interact with unfamiliar places, cultures, food, and people… simply because those interactions can be very refreshing and inspiring. 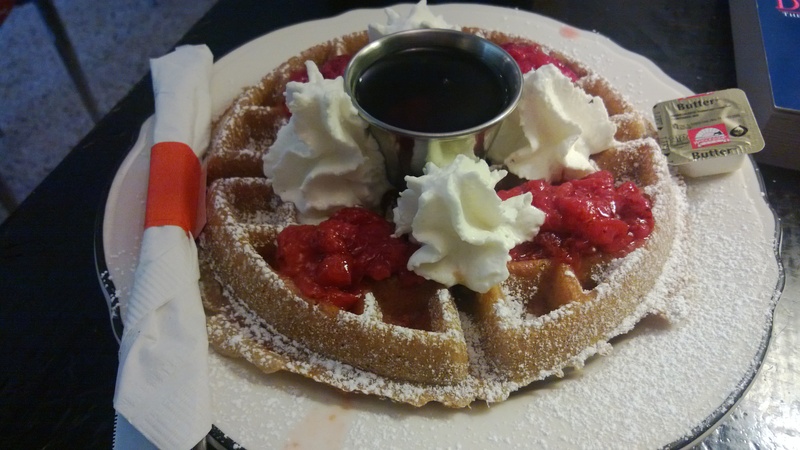 Conversely – when we travel – what is not different? Almost anywhere in the world, with the exception of just two countries, you can buy a well known sweet drink called Coca-Cola. But there much more common – often fancily called “global challenges.” Although the interpretation of some of the global challenges depends upon your location on the planet, other interpretations are common for everybody. Science, particularly physics, is for sure a universal source of such challenges. But that is also one of the really cool things about physics. In physics we have the freedom to travel everywhere and the problems that we are trying to solve at home remain the same. In other words, the laws of physics don’t vary by location. The only thing that might change (and most likely will) is how scientists approach the problems. As a physicist who has experienced different cultures, I would like to share with you my experiences from several different countries and show that international collaborations of scientists can, and do, achieve the best results. My first experience with math and physics was in the Czech Republic, which is where I am from and where I did my bachelor’s degree in Physics. The classes that I took at Charles University were difficult, covering a lot of math formalism, and early on I felt like I knew more math than my colleagues from “real” math. Some professors simply threw us into the middle of recent scientific problems; as a result we either sank (= approximately one third of the students did not finish their degree) or swam (=hours of studying at home were required to understand what he spoke about in class). One of the buildings in the Department of Mathematics and Physics in Prague where we had lectures (left) and graduation ceremonies (that’s me on the right!) at Charles University. We had to promise to uphold the good reputation of the university. To add some variety to my education, I decided to go to Strasbourg, France, to study for my master’s degree. It was there that I experienced for the first time a different approach to physics. Compared to my fellow French students, I probably knew (or had at least heard of 🙂 ) more equations. But in Prague we were not taught to work in teams, or, more importantly, how to present our results. In Strasbourg, however, one entire class was dedicated to working in small teams to understand and present a recently published scientific paper that our professor had selected for us. Working in the lab, I also saw a new approach to physics. The official policy did not allow students to work past 7 pm, after which the building was locked and an alarm system was activated. If you combine this policy with generously long lunch times (in the best dining halls that I have ever seen), nice sunny afternoons on the cafeteria terrace, and at least five weeks of holidays, one would guess that the stereotypical “French laziness” was exactly correct. But I don’t think that’s true, and the experts would agree 🙂 ; instead they are just more efficient. They organize their time wisely and are taught to be independent, having productive discussions with colleagues during long lunches or coffee breaks. And they are not exhausted from long nights spent working in the lab. Relaxed life in Strasbourg – a perfect network of bike routes, small cars, delicious food, and a beautiful historic city. After one year in France, I went back to the Czech Republic and continued to work on another project toward my master’s degree. One way that I would describe experimental work in a Czech lab is that it’s like a hobby. I mean that I have the feeling that people working in science there usually love their work. It’s for sure not the best paid job, nor the most prestigious one (as being viewed as a ‘nerd’ by others doesn’t make people proud), but people work very hard and I am sure that they would oppose any policy that forced them to go home at 7 pm. The word hobby also reflects a homey atmosphere. Our “research center” looks more like someone’s house than an academic building and it is not long before you get a sense that everyone there knows everyone else. Homey atmosphere of the Physics Research Building of the Czech Academy of Science in Prague where I am studying for my PhD. It follows naturally that my PhD work is an international collaboration as well – my advisors are Czech, Catalan (Spanish), and American. This variety brings positive differences. 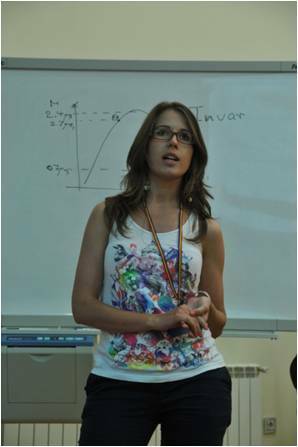 My Czech supervisor has taught me a kind of flexibility and has also showed me that being modest can work in science. On the other hand, I have learnt from my Catalan advisor that science does not need to be formal at all. As he says, science is just like an expensive version of Facebook – having a lot of friends (collaborations) who eventually like (cite) your status updates (scientific publications). A fellowship called the Fulbright has brought me to Ohio. In Ohio I have seen that people work really hard and the environment of a big university made me feel science is here very serious (compared to the hobby-like atmosphere that I described in Prague). I took only one class at Ohio State and I liked that the professor was open and encouraged discussions instead of using the equations to say everything. What I really like here is that good presentation skills are equally as important as good results. And I am really impressed by the frequency of scientific meetings and talks here (compared to rare scheduled meetings in Prague). Apart from the science, I hope that this helps me learn to communicate my work often and to keep track of what others are doing as well. I have tried to describe the differences in cultures, habits, and styles that I have seen in my scientific career. I believe that physics is one of the fields that can really profit from this variety. Let me mention at least one example from a project that I was involved with last year. German colleagues prepared and characterized a specific sample. The precision that they achieved is unmatched, but to put their work in a broader context it was necessary to confirm their results by another method. Here the flexibility and speed of Prague scientists would be beneficial to the project, but first someone needs to make the connection between the two groups and create the story – the perfect job for my communicative Catalan advisor. One physics experiment approached from different perspectives. And I think the final product is perfect! In sum, I hope that I have convinced you that different styles of work can bring together the best results. So, if you decide to study physics one day, don’t forget to travel! I was born in the Czech Republic (Czechoslovakia at the time) and completed my undergraduate studies in physics at Charles University in Prague, the capital. I completed my MS degree in quantum optics and optoelectronics (in both the Czech Republic and in Strasbourg, France) and now I am working toward my PhD in the field of spintronics (which involves improving the present state of the art of electronics by including electron spin effects). Thanks to a Fulbright Fellowship, I have spent one year at OSU as a visiting researcher. As a good experimentalist I really like exploring new things, including nonscientific activities like painting, snowboarding, and traveling to different places around the world. The evening before the physics GRE (a test required for my graduate school applications) I received an email from my advisor asking if I was interested in a project involving hardware work. I have been working on the hardware for two different ultra-high energy neutrino detectors (ANITA and ARA) for about two years now, so this was not unusual. The difference with this request was that the work would be in Taiwan, and that a colleague of mine, Eugene (a PhD student), and I would be traveling there for two weeks! I can’t say that I when I began my undergraduate research I thought that I would have the opportunity to travel overseas to work on a project, and as such I was extremely excited about this request from my advisor. I got very little sleep thinking about it that night, but still I went in to take the GRE feeling pretty confident. The rest of the summer I spent preparing myself for the work by learning as much as possible about the systems that we would be working with and the measurements we would want to make. Soon enough though, I found myself having taken the ~24 hour journey to Taiwan. During our first hour on the campus of National Taiwan University (NTU) we were already lost, but luckily a couple capable of understanding English were able to point us to the hotel where we would be staying. The next day was full of introductions and acclimation, but it was made very easy for Eugene and I. We felt right at home in their laboratory and everyone was friendly to us and always offering to help. The communication in the lab was already in English on a day-to-day basis, as their research group is advised by a professor from South Korea (who does not speak much Chinese). During our stay there were also two visiting researchers from Japan, all working alongside us toward the same goal. We woke up in the early morning, having slept on these bamboo-ish mattresses. Showered, headed to Taiwan’s cafe-style version of 7-Eleven for breakfast. For breakfast there I generally had these triangles of rice and fish wrapped in seaweed, which were really pretty tasty. After breakfast we walked through the early morning heat to the physics building. Every time I walked somewhere in Taipei, I was seriously dumbfounded by the amount of litter in this city. There isn’t any. None. This makes me reflect upon the respect individuals in East Asia seem to have toward their city, and I can’t help but compare this to Americans and Europeans. Upon arriving to the physics building, we would swipe a card to enter. There are at least three security cameras to every room and hallway on the ground floor. We’d take the elevator (which normally tried to have some sort of conversation with me, but I could never understand exactly what the elevator was trying to convey…) up to the ninth floor, where the lab is. Just like at American universities, the grad students tend to arrive a good amount after 9am. 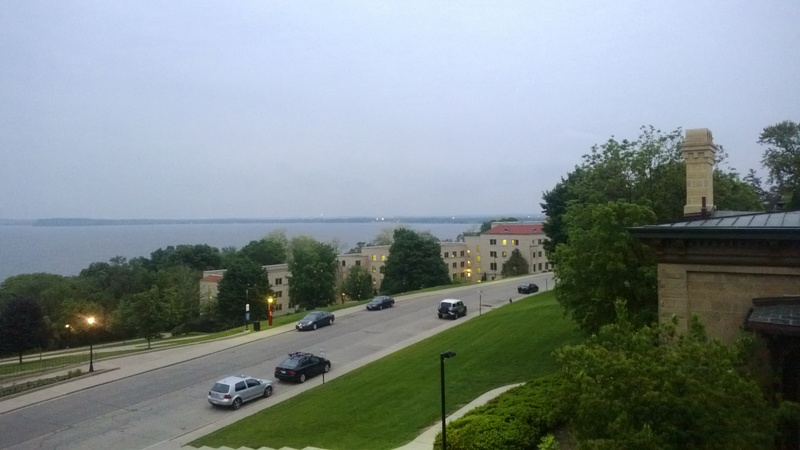 The view from the lab’s windows is gorgeous. I can see the Taipei traffic come and go as well as the mountains around this side of the city. You can actually see a good amount of the surrounding area too, since most buildings in that direction aren’t too tall. Eventually, I have to stop staring out the window and actually do work. 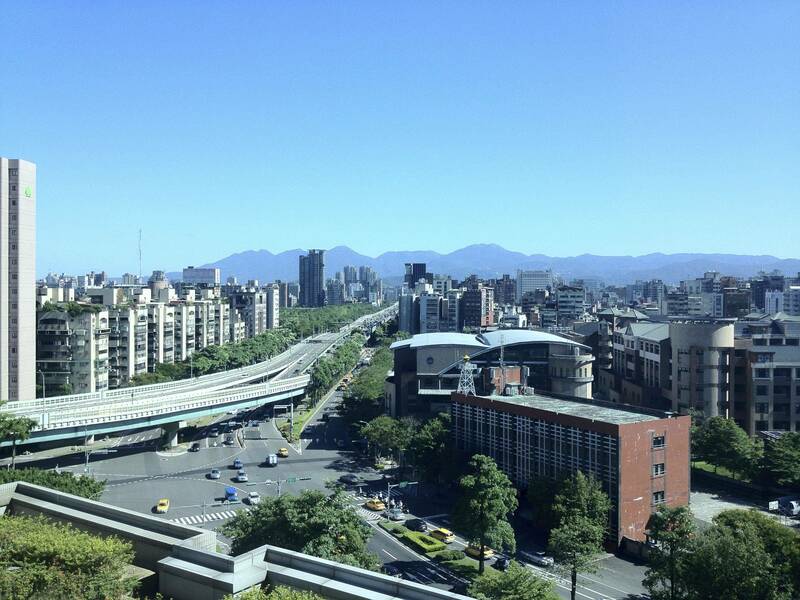 The view from the lab in Taipei. We would start off our day assembling the components to be tested. We were testing the radio equipment (coaxial cables, amplifiers, filters, and fiber transceivers) that would be deployed with a new station for ARA. These measurements not only allow us to verify that each component works, but they also enable more accurate simulations of the detector as well as improve analysis of the collected data after the detector is deployed. A lot of care had to be taken during these measurements, documenting which wire went to which component and recording every serial number combination. It was rather tedious, but I could at least talk to the other researchers in the lab during this time (there were a few electrical engineers and grad students who did arrive before 10am), so I was able to learn quite a bit about academic life outside of the West. After we finished whichever component testing rig we were working on, the fun could begin. We would hop into the elevator with the rig, go down to the second basement, through a dark, abandoned parking garage, and through double doors. 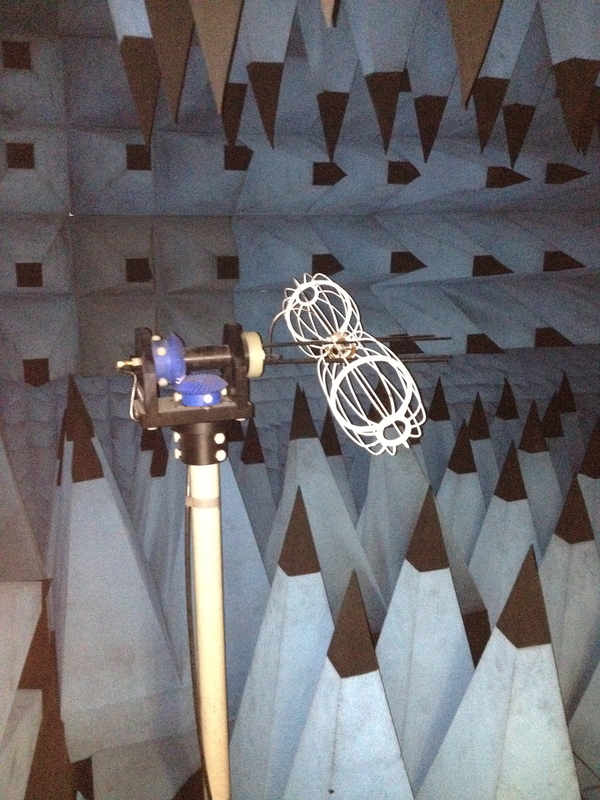 Inside, there are working lights and turning them on reveals the door to a large anechoic RF-shielded chamber. We would run a bunch of tests on the components, measuring several electrical properties of each component and comparing them to either the expected values or the “ideal” values. For the most part the tests were executed properly, which was quite a rewarding feeling. The Antarctic-bound detector we were working on has a really strict shipping schedule, so it is very important that every component is carefully tested as any major setback has a chance to delay the deployment by an entire year. After finishing the tests, we would retrieve the components and return to the lab. By that time most of the group would have arrived, and we’d discuss things that needed to be done, things which were behind schedule, and results that others had attained. The rest of the day we typically spent compiling all of our data together into plots to be presented to the collaboration members. This was my least favorite part, but without it no one would be able to make heads or tails of what we were doing and what our results actually meant. When we finished the data compilation, it was around dinner time. Every night (for two weeks!) we would have dinner at a different restaurant. There was a wide variety of food, mainly different East Asian dishes, all of which were excellent. I’ve added quite a few meals to my “to-attempt-to-replicate” list, so it will be a while before I run out of things to try to cook. Since returning from Taiwan, I’ve resumed my regular class and research schedule. I have found that the work we did has improved my understanding of several concepts which have been useful in the development of detector simulations for my research, but also helpful in my classes, for example in my senior lab class I was able to apply techniques of making data less noisy, allowing me to take on and resolve a tricky data analysis predicament. The most remarkable thing which I’ve taken away from the experience, however, was seeing the results of the work that has been done at Ohio State and at all of the other collaborating universities being pieced together to form a complete, functional system. Seeing this after two years working on the project reminded me of the importance of every individual’s contribution to the finished product, a thought which I will not forget anytime soon. I grew up in Port Clinton, Ohio, hoping to study robot engineering, but after spending a year abroad in Germany after high school, my ambition shifted toward studying physics and astronomy, which I am currently doing as a senior at Ohio State. I am currently working on research focusing on detecting ultra-high energy (UHE) neutrinos and cosmic rays using the ANITA and ARA detectors. Next year I plan on continuing my physics education at the graduate level, though I’m not sure where just yet.